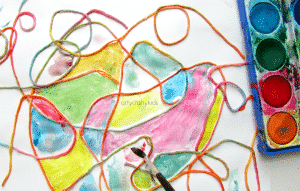 Forget the end product, kids art projects are all about the process. The messy sticky hands, the endless brown toddler creations, the tactile exploration of texture and different mediums. It’s simply a hands-on process of figuring stuff out. 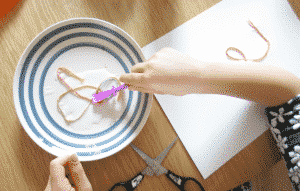 In appreciation of kids process art, I’ve teamed up with a number of fabulous bloggers to demonstrate how various and often bizarre household items can be incoportated into art and this months challenge kicks of with yarn! Adapted from our very popular Calming Watercolour Art, we’ve swapped the sharpie squiggles for yarn and I LOVE how it’s turned out. 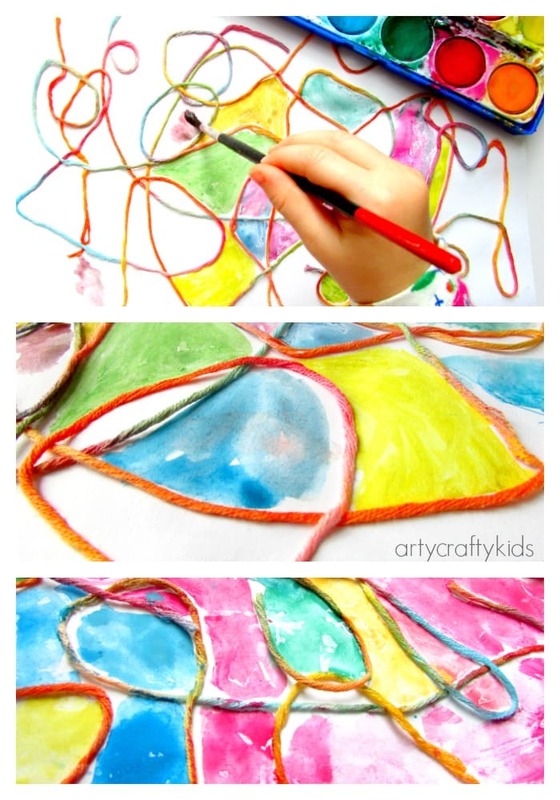 The Yarn adds texture and its application is a super fun, little bit messy and a rather unpredictable process that my kids adored. To begin, cut the yarn to create multiple threads of about 10cm in length and dip the entire thread into some PVA glue. Use a glue stick to avoid sticky fingers and swirl the yarn in the glue to ensure it’s well covered. 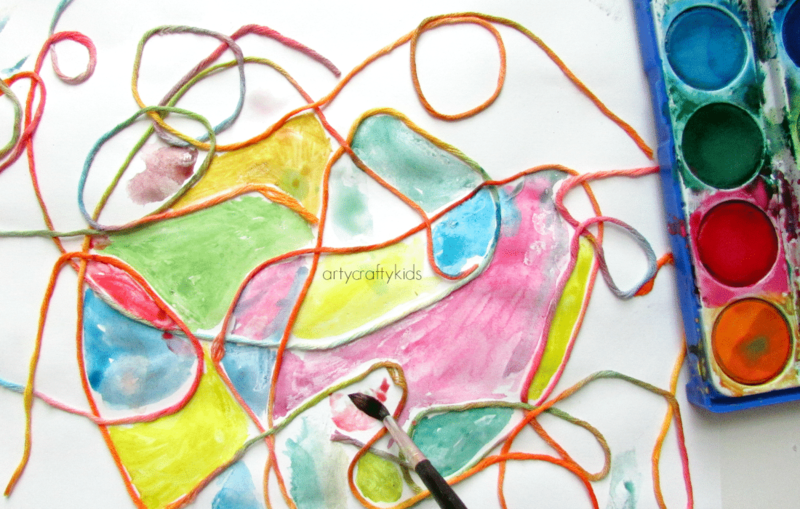 Remove the yarn from the glue and dangle it over the watercolour paper and slowly lower the thread onto the paper, creating loops and unusual shapes as it’s lowered. 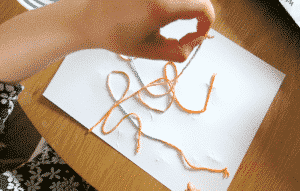 Continue with multiple threads of yarn until the page is full of swirly yarn. Leave to dry over night or until the yarn is solid to touch. Don’t worry if the glue smears over the paper, this will simply create a really cool wax resist effect. 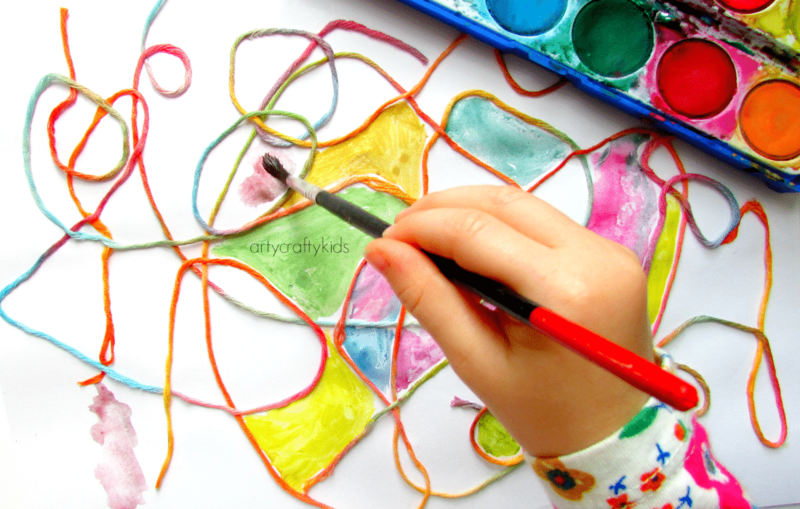 With the yarn now dry, add the watercolour paint using various colours, shades and combinations. 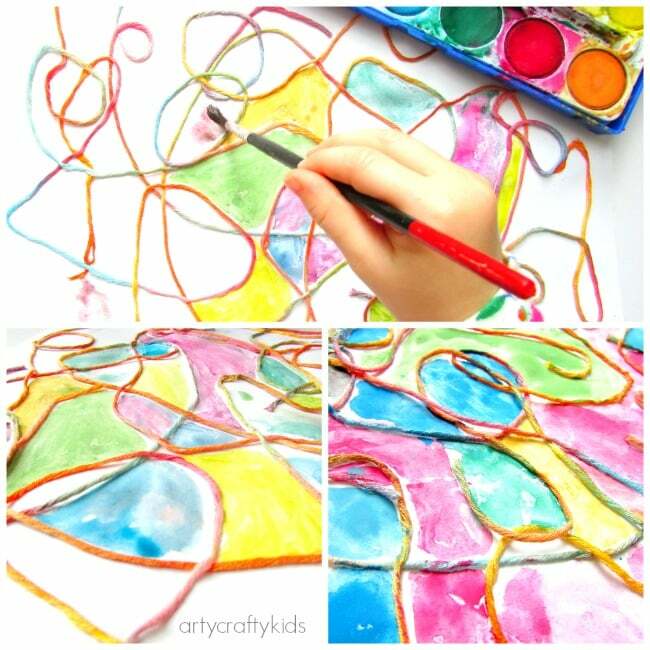 Encourage the kiddies to add more or less water to the colours and see what happens. Mix the colours up and have a really good play. 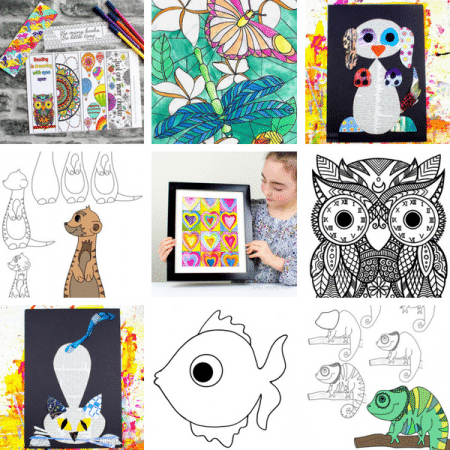 I hope you’ve enjoyed our Watercolour Yarn Kids Process Art contribution to this months kids process art challenge. 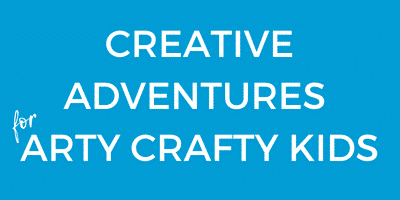 Be sure to check out the ideas from the other participating bloggers and to keep up to date with future posts, sign-up to the Arty Crafty Kids weekly newsletter!